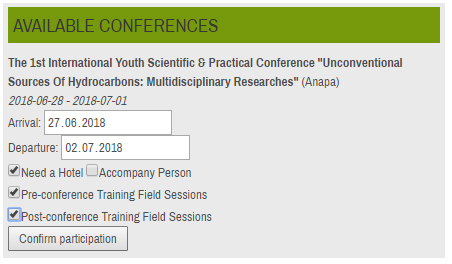 Abstract submission is available for any registered user who confirmed a participance in a conference. 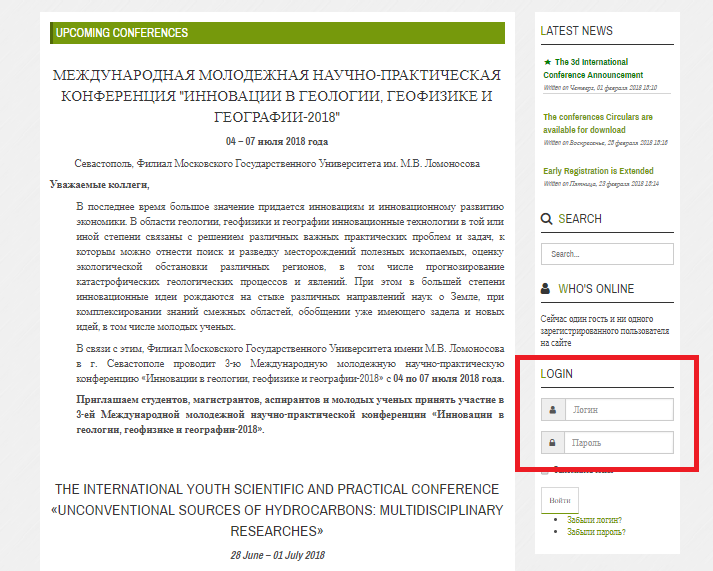 Firstly you need to login to the conference portal via login form in the home page. 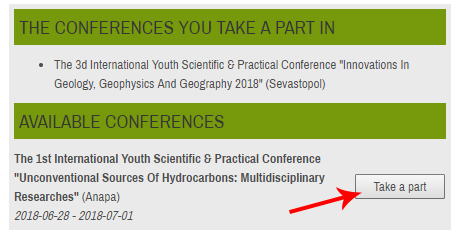 If you haven't specified the conference you take part in during the registration you need to choose one from the list and click "Take a part". Fill your participance details fileds and click "Confirm participation". 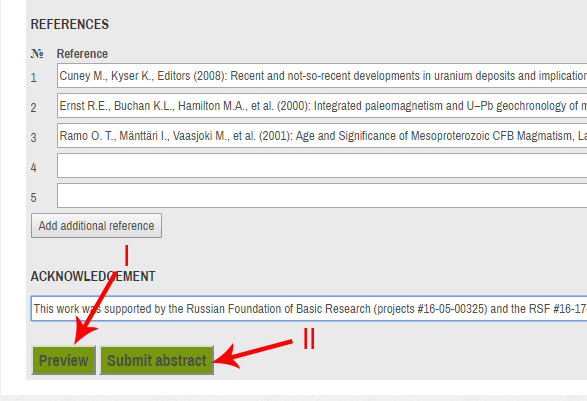 Scroll to "Your Abstracts" section and click "Add new abstract"
It's highly recommended to click "Preview" and check generated output file before the submission. Click "Submit abstract". After successful submission you will able to see your abstract in the abstracts table.